Chairman of Carey. His practice focuses on corporate and business law, mergers and acquisitions, project finance, and international arbitration. El Puerto de Liverpool, owner and operator of retail stores and shopping centers in Mexico, on the negotiation to make a tender offer (OPA) of up to 100% of the shares issued by Ripley (owned by Calderón family in a 52.98%). The deal finally didn’t end successfully. Enersis, main business unit in Latin America of Spanish company Endesa, the largest electric power company in the world, on an approx. USD6 billion capital increase, the largest ever in Chile. Republic of Chile on an interpretation proceeding pursued by Victor Pey and Fundación Presidente Allende before the same ICSID arbitrational panel which rendered an award favorable to Chile in October of 2016. In such award, the panel found that Chile did not owe anything to the claimants for the confiscation of a newspaper (El Clarín) which took place in the early seventies and which claimants allege Mr. Pey had owned. Claimants have been unsuccessfully seeking a compensation of US$799 million since the early nineties in several proceedings before ICSID. Compañía Teck Quebrada Blanca on the expansion of its hypogene project for USD6.2 billion, specifically on the mining legal easements trials against the State of Chile to get the necessary rights to use the surface land for the expansion and construction of the new facilities. Lifetime Achievement Award, Latin Lawyer (2016). Lawyer of the Year Award in Investment, Best Lawyers (2015). Law Firm Leader of the Year in Latin America, Latin Lawyer (2008). 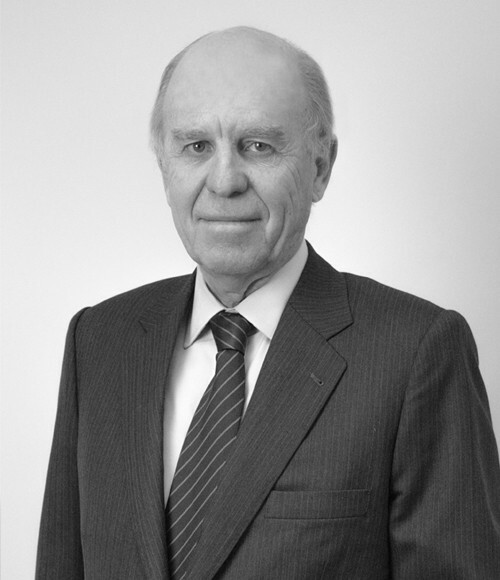 Lifetime Achievement Award, Chambers and Partners (2007). Recognized in Corporate, M&A and in Arbitration, Latin Lawyer 250. Recognized in Arbitration and Mediation; Corporate and M&A; International Arbitration and Investment, Best Lawyers. Recognized in Corporate Law, Who’s Who Legal. Conciliator of the Center for the Settlement of International Investment Disputes (ICSID) in Washington D.C., designated by the Chilean Government (2005-2011; 2011-2016 and 2017-2023). Member of the panel of arbitrators of the Arbitration Center of the Chamber of Commerce of Santiago. Chairman of Moneda Chile Fund, Vice-Chairman of AFP Provida and Quebrada Blanca, and Chairman of corporations such as Masisa, Cementos Melón and GNL Quintero. He is also Chairman of Instituto Libertad, Corporación del Patrimonio Cultural and of Centro de Estudios Internacionales of the Universidad Católica. Vicepresident of the Hong Kong Latin America Business Association. Member of the Inter-American Bar Association. Member of the Commission at Large appointed by the current Minister of Justice of Chile to form a task force within the government for the defense of Chile in international litigation. Former chairman of the British Chilean Chamber of Commerce. Former chairman of the Canada Chile Chamber of Commerce. Former member of the board of AMCHAM. Former staff attorney, for three years, of both the International Monetary Fund (IMF) and the International Finance Corporation (IFC) in Washington D.C., USA. Professor for a 5-year period of Economic Law at the Universidad Católica de Chile. Vice-Chairman of the Center for American and International Law, Dallas, USA. Author of legal publications, including “Debt to Equity Conversion: a Chilean Legal View” (1990). Law, Universidad Católica de Chile (Ranked highest in his class – Tocornal, Montenegro and Gutiérrez Alliende awards). Master in Comparative Jurisprudence, New York University (Fulbright Scholar).